If you’re like us, there really needs to be at least 48 hours a day in order to get some stuff done! However, since we only have 24 hours, part of which we really do need to sleep a little, do housework, cook, take care of kids’ activities, our own activities and errands, etc, we decided long ago that we simply have to have some kind of “organized” sewing and craft time. Recently we had a note from a customer saying she has such a big fabric stash, unfinished projects laying around and ideas for new projects —– “it’s all so overwhelming, I don’t know where to start”! We DO have a solution to the “being overwhelmed” problem. As we can all attest to, when there is stuff laying around totally unorganized, there is really no motivation to dig in and start “somewhere” — it’s just easier to close the door and put it off until another day. Here is our solution — AND it works very well for us, so we believe it is worth passing along. 1. Go out and buy yourself a small spiral notebook – mine is 5″ x 7″ and has 100 sheets in it. The TO DO section includes the bigger things I want to get done, such as “clean out and re-size the grandkids dresser” (take out all the stuff that’s too small and see what we have left) “Finish tax paperwork and take to tax man”, “Add helpful links to one of my websites” – stuff other than the ordinary cook, clean and wash clothes. The PATTERNS section has 18 original sewing and craft patterns so far that I’m either working on or have ideas to make, along with a sketch under it so I don’t forget what I want to do with it. The PROJECTS TO FINISH section includes some carry-over projects from last year that need to be finished before I start new ones, such as making and finishing certain little outfits for the grandkids (yours will vary according to what projects you may have laying around that are started and need to be finished). The ARTICLES TO WRITE are ideas for sewing, crafting and business articles that I have in mind to write, along with a couple of notes and thoughts about what I want the article to say (these are types of things that come to me in the middle of the night or while driving down the road, so if I don’t write them down, I will never remember them). The CLASSES TO CONSTRUCT are simply classes that people have been requesting information about, such as a “western wear” class to be added to PatternsThatFitYou.com –and other ideas for classes. Now for the GOOD part — you’ll need to ADD ideas and things to do to each of the categories that you’ve made as you come up with new things. THEN, as you finish something, mark that item off with a red pen! Keep the notebook going all year — keep it with you wherever you are, just in case a great idea flashes across the brain and you can immediately write it down. As you finish something in the “to do” section, mark it off; when you’ve completed one of those projects that are laying around, mark it off. Make up your mind to do SOMETHING every day – whether you spend 15 minutes on a project or an hour cleaning out that kids’ dresser, you will be able to mark something else off the list. This is GREAT MOTIVATION to do something just so you can see those red marks indicating that you’ve finished something. You will be surprised, at the end of the year, how many things you’ve not only added to the notebook, but tons of things that have gotten marked off, done, completed!! We start a new notebook each January — transferring the undone items from the sections to the new notebook, then begin once again to add items to each section – mark off things as we get them done, etc. We have found ourselves so much more productive since we started the notebooks — at a glance we can see what needs to be done next and get to work on it. Try this method and let us know how it works for you. How Productive Are You Now That Summer Is Here? Many times it is difficult to determine the actual costs involved in making craft or sewing items. For example, if you’re using your scraps to make aprons, beach bags, purses or toys, how would you figure the cost of the item, and therefore how much to charge for the completed item. An easy way to “estimate” the cost of fabric used would be to determine how much total fabric is used for the project. If you’re using left over print fabric, scraps of solid colors of fabric, and add larger pieces of muslin or interfacing material, a general rule would be to perhaps figure you’ve used a total of 1/2 a yard or 1 yard combined of all the pieces – whatever you figure you have used. Then for a cost of the fabrics I’d use an average of what most of the fabrics would have cost me at the fabric store — perhaps $4.75 per yard, give or take, depending on what types of fabric you’re using. You can get a good estimate of costs per project, but don’t forget your time that’s been spent because that is also part of the total cost. ** Use good materials. Never use those “end pieces” that perhaps have little snags or holes in them and try to hide the imperfections in the seams. ** Wash your hands frequently to keep your products fresh and clean. ** Learn to make your products easily, quickly AND skillfully. If you can get skillful enough to make an item in half an hour instead of taking an hour that it previously took, you can readily see that you can double your production and therefore double up on the profits. ** Your products must be practical as well as attractive. ** Your product must bear the stamp of your personality to be distinctive. Don’t depend on someone else’s ideas – use your own initiative. ** Be professional — on the phone, at the craft shows and in your own home if customers come into your home for service and purchases. If you have additional ways that you use to figure your cost of sewing or craft items, please pass them along to us and we’ll get them posted for our readers. How to price sewing and craft items is always one of the biggest questions we hear, so anything you can pass along to help our readers would be appreciated. 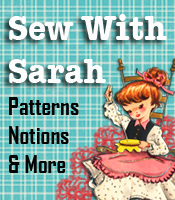 If you’re wanting to find additional craft items to make, check out the many craft patterns at SewWithSarah.com. Why Haven’t You Started Your Home Business Yet? Home sewing / crafting entrepreneurs are always on the look-out for new ways to promote their products or services. It makes no difference if your business is just a local one or an online venture, advertising is a MUST in order to keep our names in front of potential customers. Some of the following ideas have been used by us for years, and I would hardly consider them “new”, but I’m amazed at the number of people who say “I would never have thought of that!” Whether you choose one or a combination of the following ways to promote your business, the most successful methods can be incorporated into your year-round promotional strategies. We make our mini-flyers 10 to a page and use the Publisher format for Avery labels. 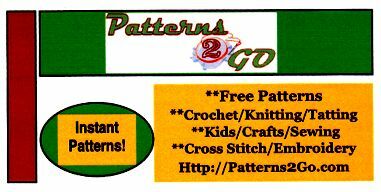 The mini-flyers can then be made on the labels or printed on regular paper to be cut apart and used. The first thing to do with your mini-flyers that have been printed on regular paper is to put one in every bill you pay (electric bill, gas bill, newspaper bill, telephone bill, credit card bills, etc). Remember that the clerks who open these envelopes must surely get bored with the job, and when they open your envelope and the mini-flyer falls out, you can be assured that it will be read. It will probably also be passed around to others working in the same area. The mini-flyers that are on labels can be stuck to every package you mail out – right next to the mailing label. These will catch the eye of some of the postal employees along the way who will make a mental note of the website address, etc and perhaps check it out later. 2. REBATES. Almost any business you can think of can benefit from giving rebates. Rebates are usually associated with large purchases such as automobiles, computers, etc, but can easily be adapted to smaller businesses. We’ve had great success with offering a “rebate” to customers who refer their friends to us. When one of the customer’s friends makes a “first time purchase” from us, the customer receives a rebate certificate that can be used as a discount on their next purchase. 3. GROUP RATES AND DISCOUNTS can be used by many businesses. For example, a seamstress can contract with a community theater to do all of the alterations for an entire season, and give a 10% or 15% discount on alll the work. School cheerleader alterations, repair work and sewing could be handled in the same way. 4. HOLD FREE SEMINARS, workshops or lectures for people interested in your type of product or service. If you’re in the crafts business, you could teach interested people how to make one or more of your craft items. After the “mini-class” you could have a table of crafts, projects and/or books for sale. Women’s clubs, sewing clubs or home extension clubs would be great places to start – they’re always looking for “program” ideas for their meetings. 5. SUBMIT A PRODUCT, PATTERN OR YOUR WEBSITE to individual websites, such as this one, for “review”. Naturally you’re not guaranteed that every site will do a review, but the ones that do will be putting your name and website name on the review, which will then be a permanent link to you, which could be read by potentially thousands or millions of people who may be interested in what you have to offer. Remember, if you don’t ask (or submit your item) your answer is already a “no” — so do yourself a favor and do some submitting. 6. MAGNETIC CAR SIGNS can be a wonderful way to increase your business. For “local” sewing / craft businesses, be sure to do the sign with a catchy phrase about your business – “Cathy’s Quick Turn Around Alteration Service” and your phone number. If you do the majority, or even a little, of your business online put your website address on the sign — http://SewWithSarah.com — and you’ll be pleasantly surprised with the increased traffic to your site. Also, don’t forget – if you’re taking a vacation, be sure your magnetic sign is on the car. It’s amazing how many people along the travel route will see your sign and check out the website. For additional information and books to help you get started in a business or push it forward faster, visit our “Business Book” shelf and see for yourself the many ways you can make additional money with your business/website. Does Your Ad Contain AIDA??? ?